An Interview With Feared NFL Linebacker Bill 'Romo' Romanowski! Is A "Refeed" The Key To Successful Dieting? 50+ effective fitness plans in one place. Support Our Nonprofit, Lift Life! 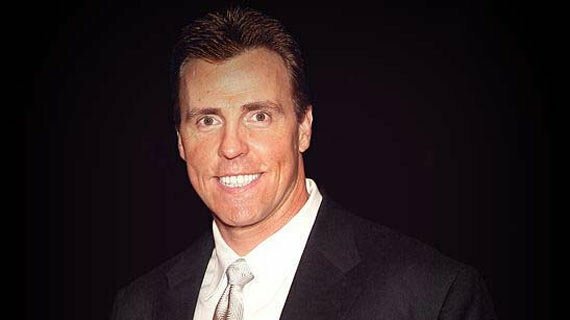 I had a great opportunity to chat with one of the most feared linebackers in NFL history, Bill Romanowski. Here's what he had to say about football, drug testing, training, and more. 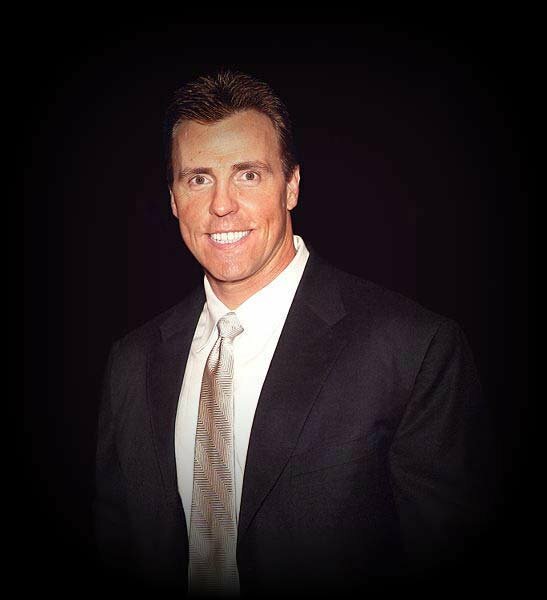 I recently got a great opportunity to chat with one of the most feared linebackers in NFL history, Bill "Romo" Romanowski. Romo was renowned for his fearlessness and killer instinct on the field and his undeniable work ethic and attention to detail off the field. In this interview we talked football, drug testing, training, nutrition, supplementation and Romo had some intriguing answers. You won 4 Super Bowls and played in a total of 5. Does one stand out over the others to you? Are you more fond of one than the others? I think the first Super Bowl I won in Denver stands out the most in my mind because we were underdogs going up against Green Bay. I think it was also very meaningful to me because it had been eight years since I had been on a team that won a Super Bowl and I was starting to realize how difficult it was to actually win one. I was spoiled when I first got to the NFL because I was on a 49er team that won back to back Super Bowls my first two years. You were one of the most intense guys ever to play the game. You were also one of the most controversial. I once read an interview where you said by the time you got on the field you had gotten yourself to a point where you HATED the other players and everything about them. You said you "took yourself to a place most weren't willing to go." Do you feel that intensity made it hard to back down during the game (Was it hard to turn off the switch once it was flipped on)? Yea, it is really a fine line between turning on that switch and then trying to back off. I think playing linebacker in the NFL is as close to a modern day gladiator as you can get and it was kill or be killed. I was ready to knock people out, I was ready to hurt people. I was ready to do whatever it took to win and keep my job. You admitted to using steroids and said you regretted it. Right now sports seem to be in the middle of a crisis in terms of testing. As an ex-player, do you have any suggestions as to how drug testing in the NFL could be improved? I think they do a really good job. I took THG which they didn't even know about at the time so they really had no way to test for it back then. There still isn't a test for growth hormone. I think they do a good job in testing for what they CAN test for. As far as improving it, I think they should be harder on street drugs like marijuana and cocaine. Right now there is only one test for each player each year to look for street drugs. If you test positive then you are tested multiple random times throughout the year. I just think that if you are going to put so much energy into going after steroids, you should also put as much energy into trying to stop people from using other drugs that are just as dangerous. You were one of the hardest hitters in NFL history and suffered head injuries, yet you hold the record for consecutive games played by an NFL linebacker. Was there anything you did training/nutrition/supplementation wise to help you recover and be able to play in every game, or was it just a fear of not playing? I think my training and extreme conditioning was one of the only things that saved me from missing a lot of time. You have to understand, I was a FREAK about my training. I trained eight hours per day in the off-season, including two hours per day of weight training, and hours upon hours of stretching, massage therapy, icing, and various other preventative measures. I also think my detailed nutrition plan was vital in allowing me to train as hard as I did. Even on my 'off-days' I would still do half an hour of biking. You have recently been in several big feature movies including The Longest Yard with Adam Sandler. How did your acting career come about? Did you take classes or was it something you kind of fell in to? Actually the movie industry found me. Adam Sandler called me and told me that they were going to be doing a remake of The Longest Yard and he wanted me to come out and read for the part. Two weeks after I had read for the part they told me I had gotten it and that's how it got started. How would your offseason training differ from training during the season? My training was quite different during the offseason than it was during the in-season. The brutality of Sundays is so taxing to the body that I just couldn't train like I did in the offseason and be able to recover. "Full body flush": I would do a lot of volume for the entire body with high reps just to pump a lot of blood without going heavy to help facilitate recovery. These would consist of 12 exercises with 3 sets per exercise. I would do two exercises for arms (bicep & tricep movement), a back movement, a pressing movement, and two exercises for legs. All the other exercises would be used for core work. On this day my rest time between sets would be 1.5 minutes and 3 minutes between exercises. What specific exercises/drills would you do to help improve your explosiveness and agility? Anything unique? I trained very similar to a decathlete. I had track coaches set up my training which consisted of focusing on different types of sprints throughout the week. How are you training differently now that you are retired? What are your goals in the gym? I am focusing on ultimate life performance. I want to be able to perform better in every physical aspect of my life. My training is more similar to what I did on Tuesday/Thursday/Friday training back when I played (bodybuilding style training). Briefly describe your nutritional philosophy/program? When I played I always made sure I focused on eating around 250g of quality protein per day and I would use shakes to ensure that my protein intake was high enough. I always kept my sugar low and stayed away from sweets and junk food. I was big on creatine, branched chain amino acids, and glutamine for strength and recovery. I would also take in around 10-15g of vitamin C per day as well as a glutathione supplement to ensure that I was getting enough antioxidants. I was literally putting something in my body every two hours. Near the end of my career I was even doing IV nutrition. In fact I got so used to it that I could set up my own IV. Another thing I did; before games in cold weather I would eat meat from an animal that had to survive in the cold like deer. At one point I even tried live cell therapy where I would inject live cells from Scottish black sheep. I was extremely meticulous with my nutrition and tried many different strategies as it was the only way that I could train the way I did and still recover. You have your own supplement company now. How did that come about? It actually started with me trying to find something to help myself. Two weeks after I retired I cleaned out my locker at the Raider's facility. When I was driving home I could not even find my home - Those years of football taking their toll. I went to many specialists and they all said there was nothing I could do to improve what had happened to me during my career. Well that was not an acceptable answer for me. I hired my own scientist and doctor to design a supplement for me to promote normal mental health. It consisted of various 'neuronutrients' and supported my brain's mental health! Over time I started giving samples to other people and they would come back to me and say, "Oh my god, I had the best workout OF MY LIFE!" One thing led to another and pretty soon I had started my company, Nutrition 53, and Neuro1 was our first product. People who started taking Neuro1 also found that they were getting leaner and stronger! We even found that the product was promoting normal healthy testosterone levels and growth hormone and so I feel that the future of nutrition is through supporting the brain with neuronutrients. Now we also have come out with a sleep product called Sleep1 which puts you into a deep delta wave sleep. Our newest product that I am REALLY excited about is our MRP, Lean1. When we were formulating Lean1 we set out to make the best tasting and most functional Meal Replacement Shake ever created and that's what we feel we have accomplished. Thanks for your time and in-depth answers Bill. No problem Layne, my pleasure. Be the first to receive exciting news, features, and special offers from Bodybuilding.com! © 2019 Bodybuilding.com. All rights reserved. Bodybuilding.com℠ and BodySpace® are trademarks of Bodybuilding.com. Always consult with a qualified healthcare professional prior to beginning any diet or exercise program or taking any dietary supplement. The content on our website is for informational and educational purposes only and is not intended as medical advice or to replace a relationship with a qualified healthcare professional.